I’ve been thinking a lot about this story. 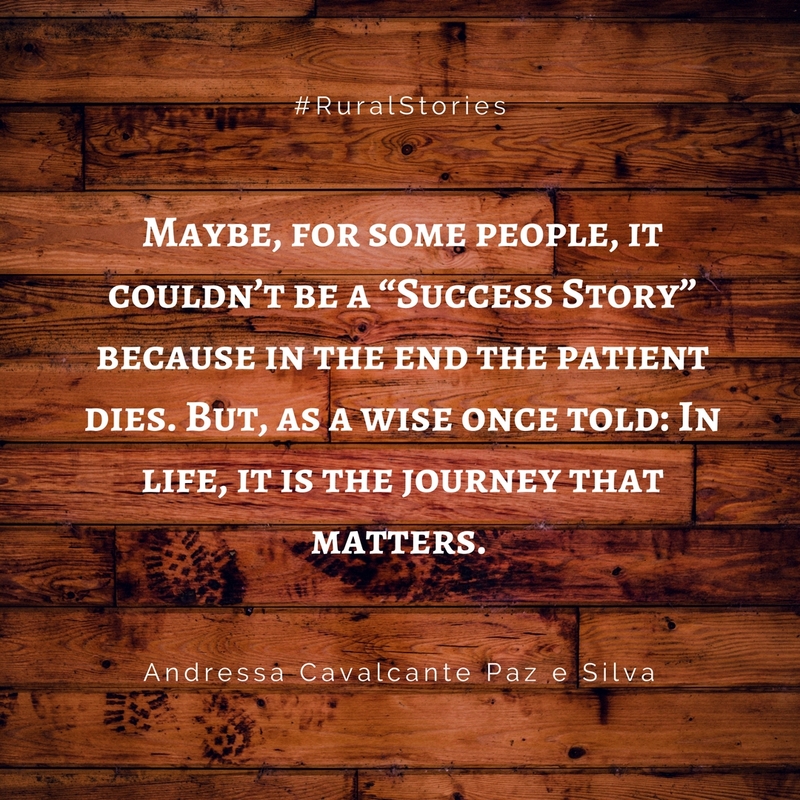 Maybe, for some people, it couldn’t be a “Success Story” because in the end the patient dies. But, as a wise once told: In life, it is the journey that matters. 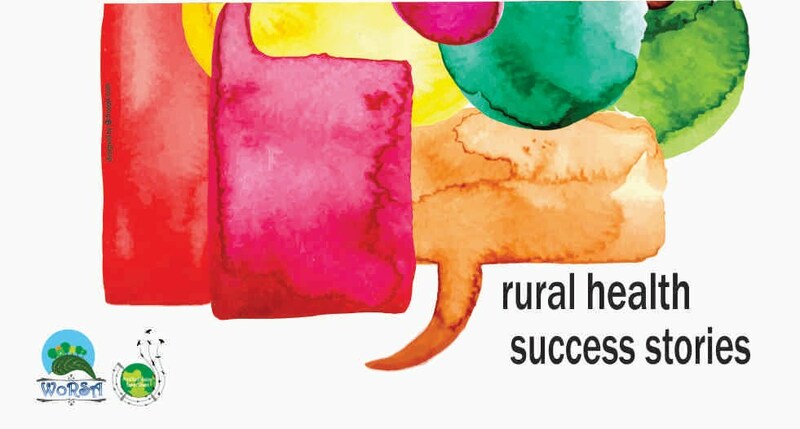 So, I’m going to tell you a rural success journey story. 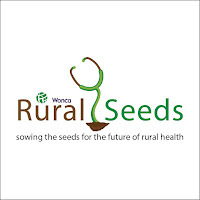 My story begins with a young girl going to a home medical visiting in a little rural area called Curuá, in Baixo Amazonas, north of Brazil. This girl was attending Medicine classes for four years in a College School in Rio Grande do Sul, a state located on the opposite side of Curuá, south of Brazil. However, this story is not about her. This story is about the day she understood the real meaning of Rest in Peace. This girl is me. It started out with a “Hi, good morning, mrs. Maria. Have you called out for our visit? Let me see how Mr. Manoel is going.” and them the medical interview continued. -Thank you for being here, doctor, he is not so well. He can’t speak anymore and It is being pretty difficult for him to walk. Also, he is refusing to eat since the day he had this strong diarrhea. - Oh, and how was this diarrhea, mrs. Maria? You see if he is suffering of pain? Tell me more about it. - The student asked. - It was last week. It’s been 5 days since the only episode. Oh and those black stools were so so smelly as I’d never had seen!! And in the last two days he is totally constipated. We tried so hard to give him food… We even tried to lay down some pasty food and in his lips and mouth, but the only thing he wants is water and sleep. We are trying so hard to give him the medications another doctor prescribed us, as well as those nutritional supplements. Now he isn’t suffering of pain, but we are worried about inappetence. Mr. Manoel, an elderly man aged 77, was clearly dehydrated, hypotensive (80x40mmHg) and in the neurological exam we found out Glasgow 10. When we touched his belly during the abdominal exam, his face showed heavy pain. In our hypothesis we conclude that maybe Mr. Manoel was having an upper digestive hemorrhage. Unfortunately (or fortunately), the medical conduct wasn’t totally accepted by the family. First, we suggested moving the patient to Santarém, a place with a hospital, in which he could do exams to confirm the bleeding and treat specifically. 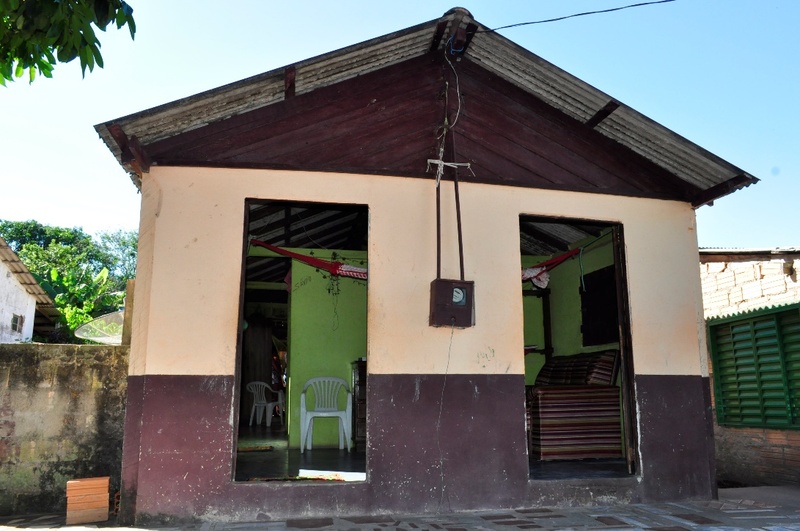 Nevertheless, the logistic for all transportation stuff and maintenance of the patient and the family in Santarém was really difficult. Actually, even if there were no problems at all, Mr. Manoel’s family had already decided he would die at home. “We can’t send him to Santarém… A couple of weeks ago when he was a little better he said that If we ever try to send him to another place instead of here, he would come to haunt us after his death for sure!” - they said. In summary, the elderly man was medicated with some Oral Rehydration Solution and referred to the doctor of the city, as I was only in an observership. This experience was really different and meaningful for me. The empowerment of that family caught my attention and I started to think about empowering my parents and my relatives to understand the finite of life and to embrace palliative care too. Mr. Manoel get better in the consequent day after drinking the oral rehydratation solution, but after two days he died at the crack of dawn. So, I’ve been thinking a lot about this story. 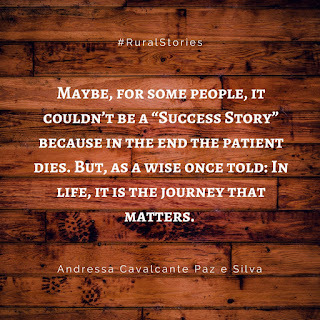 Maybe, for some people, it couldn’t be a “Success Story” because in the end the patient dies. But, as a wise once told: In life, it is the journey that matters. I guess Mr. Manoel’s journey through death was peaceful and I guess he will not come back to haunt his family.